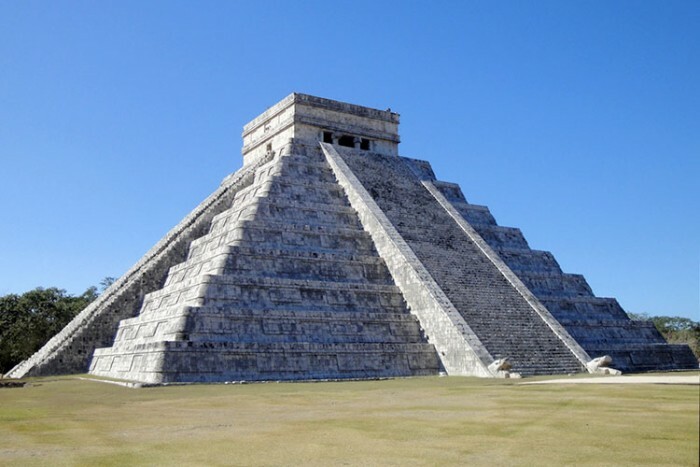 Visit the incredible Mayan ruins at Chichen Itza, one of the Seven New Wonders of the World. Home to the famous El Castillo pyramid, Chichen Itza is a must-see attraction in the Mexican Caribbean and you will be in awe of the majestic structures and surrounding jungle. 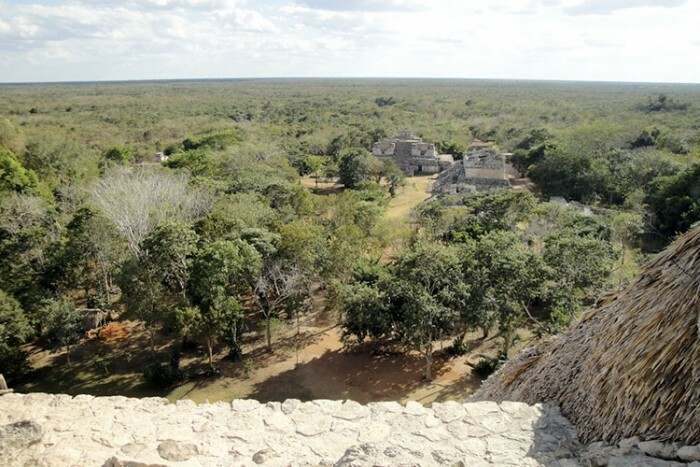 Built between 1,000 and 1,200 AD, it is one of Mexico's largest Mayan sites and you can get there from Cozumel on a 45 minute scenic flight. You'll save hours of travel time by flying and even cruise passengers here for one day have time to visit and get back to their ship in plenty of time before its departure. The tour has its meeting point at Cozumel aerodrome as early as possible so you have the chance to reach the Chichen Itza ruins before the crowds and heat of the day. 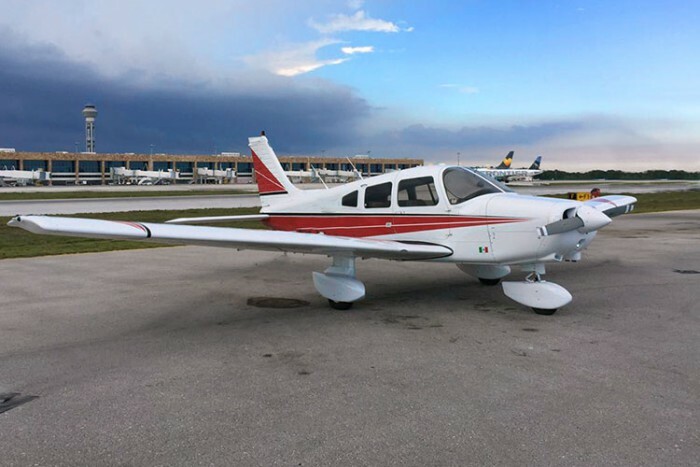 You'll enjoy a scenic flight over the Yucatan Peninsula in a small aircraft in both directions, flying low enough to enjoy spectacular views. A close flyover of the ruins can't always be guaranteed as it depends on conditions and air traffic control on the day, but the pilot will always try to get you as good an aerial view as possible before landing at Chichen Itza's airport, where you will be transferred to the ruins for an unforgettable guided tour. After a one hour guided tour and an hour of free time to be amazed by the wonders of Chichen Itza, you'll visit an awesome cenote (freshwater sinkhole) where you are invited to swim in the revitalizing cool, underground water before you tuck in to a delicious Mexican buffet lunch of fresh fish, chicken, meat and vegetarian dishes. When you're all done at the cenote restaurant you'll be transferred back to Chichen Itza Airport where your plane has been waiting for you for the return flight to Cozumel. 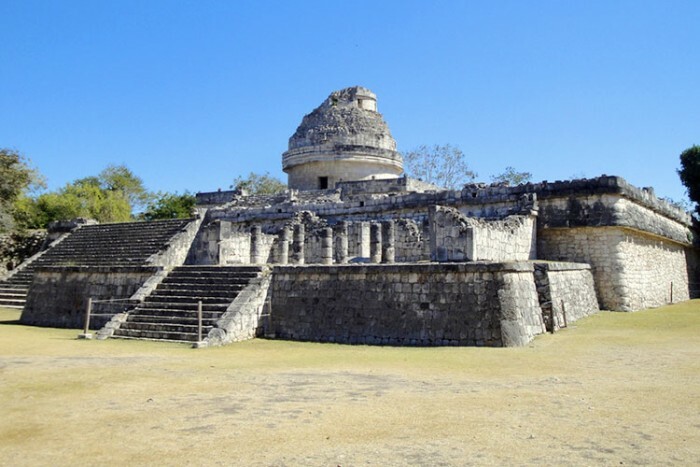 If you're on a tighter budget, check out our more economical Chichen Itza Tour by Land too. "Went like clockwork. Without doubt the highlight of our Caribbean cruise." "This tour exceeded our expectations!!! The pilot, taxi drivers, tour guide were pleasant, professional and informed. We were absolutely impressed." "This was money well-spent for an amazing experience that was the highlight of our seven day Caribbean cruise." "We had an amazing trip from start to finish. Very professional, friendly, and knowledgeable. Wonderful staff!" Mon-Sun, 8am or 9am recommended. 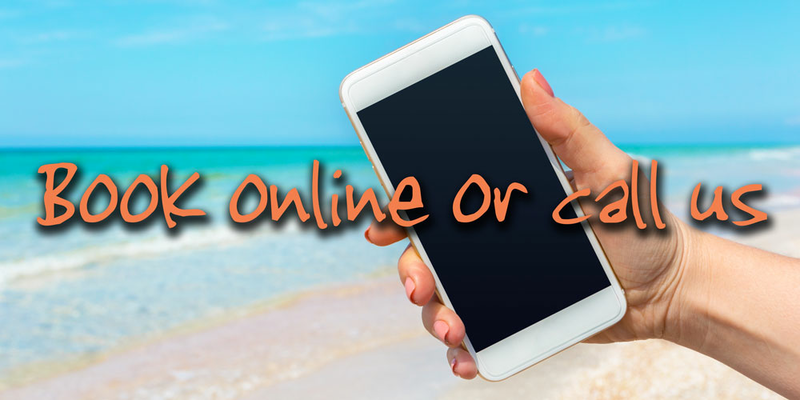 Other times are available to fit with cruise ship passengers' schedules but a supplement may be payable or the tour shortened - see "Cruise Ship Passengers" in Notes section for more details. Please contact us for prices for groups of more than 8 people. Adults and children 3 years and over count towards the group size. Infants 0-2 years pay just $40 each, if traveling on an adult's lap. Prices include airport taxes (including infants). Tour balance payable CASH only on arrival. Passengers arriving on cruises that dock later than 9am or 10am Cozumel time may have to pay a supplement so Chichen Airport airport can stay open late enough for the return flight, or do a shorter version of the tour so they can return before the airport closes. Please contact us for more details or make your reservation and then we'll confirm the times. Valid passports; Comfortable walking shoes, light clothing; Bottle of drinking water; Sun protection; Cash for extra drinks, snacks, souvenirs and optional gratuities. Bathing suit/towel if you wish to swim at the cenote. Small groups (max 14 passengers). 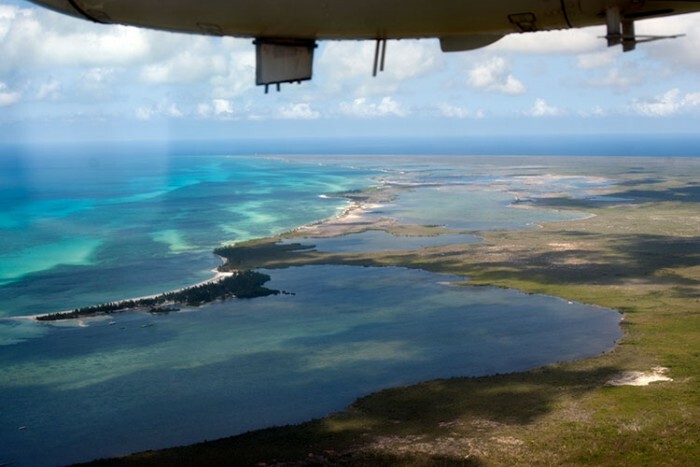 Round trip scenic flight Cozumel  Chichen Itza  Cozumel. 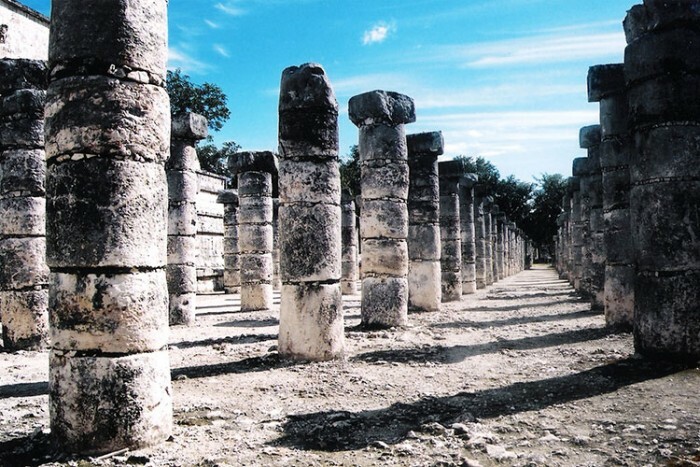 Ground transfers between Chichen Itza Airport, ruins, cenote and restaurant. Visit and swim at cenote. This tour is available for cruise ship passengers, we will adjust tour duration and departure time to your docking schedule. 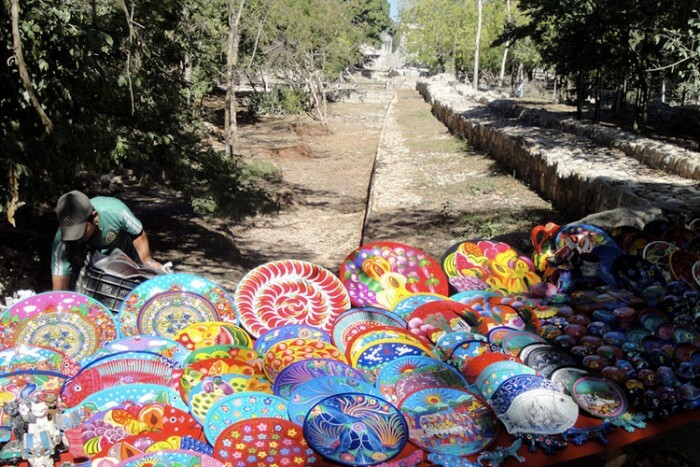 Chichen Itza Airport closes at different times, depending on the time of year. So some passengers arriving on cruises that dock later than 9am or 10am Cozumel time may have to pay a supplement so the airport can stay open later, or do a shorter version of the tour so they can return before the airport closes. Please contact us for more details or make your reservation and then we'll confirm the times. The tour has its meeting point at Cozumel Airport. For cruise passengers arriving to the Puerta Maya or International SSA piers (most Carnival, RCCL and some others) this is about a 15 minute taxi ride costing around $20 per taxi. For cruise passengers arriving to the Punta Langosta (most NCL, Disney and some others) this is about a 10 minute taxi ride costing around $15 per taxi. For guests staying downtown or arriving by ferry it is about a 10 minute taxi ride away, costing about $15 per taxi. For guests staying in northern hotels it is about a 15-20 minute taxi ride away, costing about $20. For guests staying in southern hotels it is about a 30-45 minute taxi ride away, costing about $30-40. Although it is a domestic Mexican flight, valid passports still need to be shown by all passengers. Failure to show them may result in your tour being cancelled but you will still be charged in full.